Looking to sample some cold beers at the best Breweries in Raleigh? Your in luck! Lifestyle Limousine Service provides luxury limo & party bus transportation for all Brew Tours & Pub Crawls in Raleigh & the Triangle area. We will assist you in creating a memorable day and a customized itinerary around the top Raleigh area Breweries. 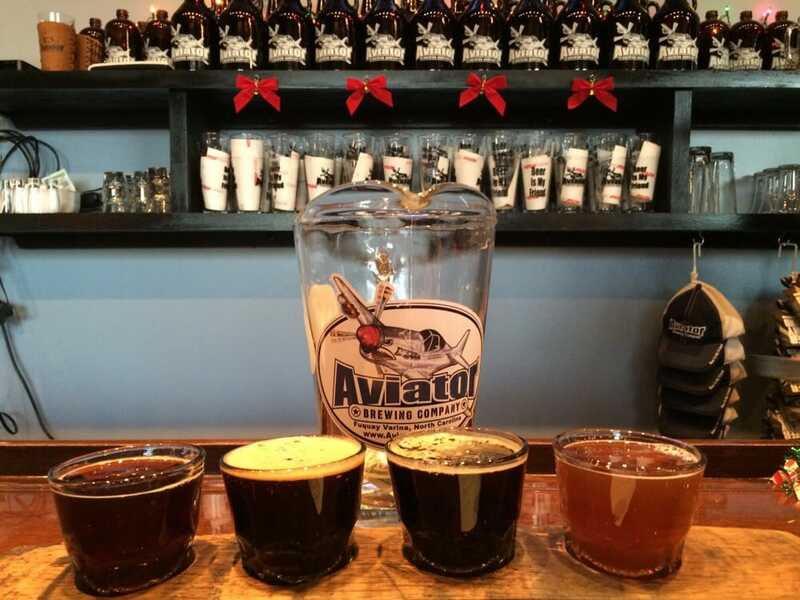 We can also build the package to include other popular breweries in nearby cities (Ex: Aviator Brewing in Fuquay Varina, NC) – just stock up on some craft beers and enjoy the ride! Browse our list of the top 20 Breweries in & around Raleigh and then give us a call at (919) 332-3676 to schedule your Brewery Tour with Lifestyle Limousine. Each tour can be customized based on your timeline, budget, and of course your needs! Party Bus transportation for Brewery Tours in Raleigh is our specialty! 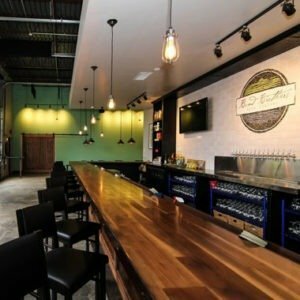 Beer Tours in Raleigh are a great way to enjoy the day with friends and see all the different areas Raleigh has to offer. Each trip is customized around the groups needs – whether you want to tour the breweries and learn about the brewing process, or if you just want to sample from different breweries and enjoy your transportation between taprooms! We have got you covered. Aviator Brewery is one of the most well known in the Raleigh area winning best Brewery in the Triangle in 2010, 2011 and 2014! With an amazing brewery, tap room, a smokehouse (across the street), live music and obviously – Delicious beer – it’s easy to see why this a popular destination for tours! The brewery tours are $5 but for a little bit of extra cash you have options to get Aviator pint glasses, and fill a up growler! 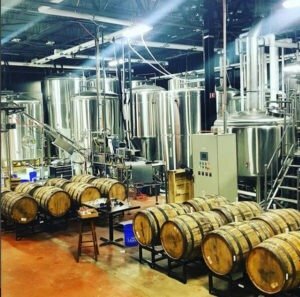 Fortnight Brewery in Cary, NC was founded by England native Stuart Arnold with the purpose of bringing English style beers to the Triangle area for all of us to enjoy. Stuart relocated to the area after traveling here for regularly for work. Fortunately for us, he got tired of drinking imported English beer in NC – the taste is typically compromised after long shipping times. Stuart started home-brewing and once he had two recipes he was in love with – he started his own brewery. This is the perfect stop to add in to try some English style beers. Bond Brothers has a variety of different brews to chose from. Whether you enjoy Stouts, IPAs, Saisons or Sours, Bond Brothers has something that is guaranteed to suit your taste. Their space for entertaining brewery guests is also impressive with over 9000 square feet of brewery, taproom and beer garden to enjoy, they have built a destination that matches the quality of their beers. Another bonus on a Raleigh Brewery Tour or Pub Crawl is that you can collect points at participating breweries & get free swag courtesy of VisitRaleigh! From Wake Forest to Raleigh to Holly Springs and Fuquay-Varina, over 25 of the Raleigh area’s breweries are ready to serve you and your friends a cold pint, and stamp your Beer Trail passport so you can get some free gear. Just Download your Passport to Collect Points. Please review the most up to date passport on VisitRaleigh to ensure brewer participation before visiting.